Few events have a greater impact on the quality of your daily life than a serious injury or the purchase of a home. In either situation, it is important to make sure that you understand the process and to have an advocate at your side to help you make knowledgeable decisions. At Pulgini & Norton, our Boston real estate attorneys have guided Massachusetts residents through many legal issues related to buying or selling a home. We also are available to assist people who need a workers’ compensation lawyer or guidance in a personal injury or Social Security Disability claim. Our firm represents buyers, sellers, developers, lenders, title companies, tenants, landlords, and others in real estate matters. Under Massachusetts law, an attorney must participate in the closing of a residential property transaction. Moreover, we often get involved earlier in the process and help clients with securing a mortgage, determining whether there are easements or use restrictions and how they affect the value of the property, or negotiating with a seller or buyer to obtain a satisfactory deal. There are very few disclosures that sellers are required to make, but it is important that they answer questions about the property honestly. A seller of residential real estate must disclose whether lead paint is present in a home in certain cases, and whether a private sewer services a home. However, a seller need not disclose that a home was the site of a homicide, suicide, or alleged supernatural phenomenon. Properties with these conditions tend to be stigmatized and difficult to sell, but a buyer must ask directly in order to find out whether any of these conditions is present. If you are hurt on the job, in most cases, workers' compensation is your exclusive remedy. The workers' compensation system in Massachusetts is administered by the Department of Industrial Accidents. Most employers are required to carry workers' compensation insurance, and in exchange, their employees are not able to bring a personal injury lawsuit against them for damages. However, the workers' compensation system may be difficult to navigate. Insurers may deny valid claims, making it difficult for a worker to get what he or she needs to survive. As long as your job is a major cause of your injury or illness, you can recover workers' compensation benefits for it. Often, the workers' compensation benefits received for an on-the-job injury are minimal. It may help to bring a lawsuit against a responsible third party, since a greater range of damages is available in personal injury lawsuits. For example, if you are hurt in a car accident as a traveling salesman, you may be able to recover workers' compensation benefits through your employer's insurer, and you may also have a claim against a negligent driver. Similarly, if you are hurt in a defective office chair, you may have a claim for workers' compensation benefits as well as a basis to file a personal injury lawsuit against the manufacturer or the seller of the chair. We also help clients through our Social Security Disability Insurance (SSDI) practice. We can assist you with an initial application as well as with administrative hearings and appeals. SSDI is funded through your taxes, rather than your employer's insurer. To secure benefits, you need to meet the Social Security Administration's definition of disabled and have sufficient work credits to be eligible for benefits. If you are eligible, you may receive SSDI benefits from the Social Security Administration, whether or not your disability is related to your job. Benefits may continue as long as you are prevented from going back to work. 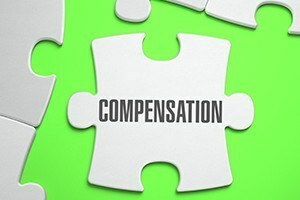 Although SSDI benefits do not undermine your ability to receive workers' compensation, they may affect the cost of living adjustments (COLA) associated with your workers' compensation benefits. Dealing with a serious illness or injury may be stressful. You may be worried about how you can earn an income, pay the mortgage on your home, and secure basic necessities like food or medical care. An experienced Boston workers’ compensation lawyer can make sure that you apply for all relevant benefits or bring a lawsuit as necessary. At Pulgini & Norton, our real estate attorneys also provide sound legal advice if you are undertaking a property transaction. Contact us at 781-843-2200 or through our online form for a free consultation.